I just heard this song and the story behind this song and wanted to share with you. 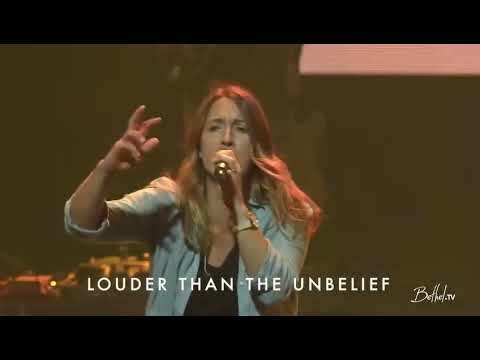 Let us all “raise a hallelujah” louder than our unbelief!! This entry was posted in Christianity, FAITH, God, HOPE, Inspirational and tagged Brokenness, Christianity, FAITH, God, Healing, Holy Spirit, Hope, inspirational, Jesus Christ, overcoming, Praise, Spiritual, worship. Bookmark the permalink. Hallelujah! Hallelujah! Glory to God! God is good! He is a deliverer! He is a healer! Bless His holy name! Death has no victory over God’s saints! Fear has no victory over God’s saints! Hallelujah! Amen!! Amen!! God bless you, my sister!